Children living in slum areas of the city are often deprived of educational atmosphere at home. Community Learning Centers (CLC) are established to support their education and provide opportunities to learn and perform. Door Step School runs three such CLCs in Pune - Dattawadi (Sinhgad Road), Vadarwadi (SB Road), and Vaiduwadi (Hadapsar). Facilities like study room, library, computer lab, etc. are provided at these CLCs inside the slum areas. Children leverage every opportunity offered to them. And their participation and achievements are not limited to just studies. Given an opportunity, they are seen performing well in sports and arts activities, too. 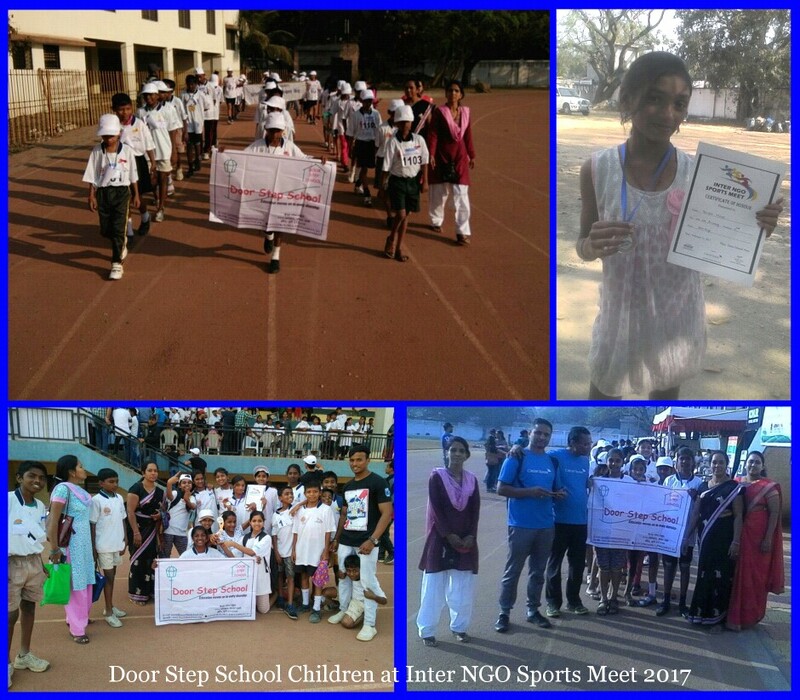 Around 25 children from all three CLCs participated in the 'Inter NGO Sports Meet' organized by Concern India Foundation at Sanas Ground, Pune on 11th of February 2017. Children took part in various individual and group athletic / sports activities. The CLC girls' team won second prize in Dodgeball. A girl, Parvati from Vaiduwadi (Hadapsar) CLC won Bronze Medal in 400m running. At Door Step School, we always try to provide opportunities to the children. Their performance and achievements give us a lot of satisfaction and hope!